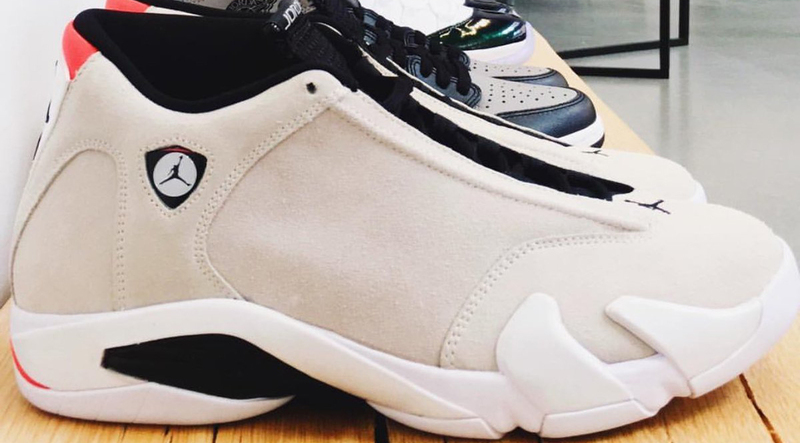 Air Jordan 14 "Desert Sand"
Jordan Brand will be releasing an Air Jordan 14 “Desert Sand” iteration included in the upcoming Spring and Summer line up. Leading up to the release of the Air Jordan 14 “Last Shot”, Jordan Brand will be adding onto the retro line up with an additional colorway featuring a suede Desert Sand upper with red accents. Cream White tones hit the midsole with various hits on the heel and upper. No date has been set for the Air Jordan 14 “Desert Sand” just yet but stay tuned with Modern Notoriety for a release date.